A collapsible music stand that rivals the traditional symphony stand. The music deck and legs are collapsible and fits neatly into a portable carry bag. The desk boasts a plastic piano hinge that makes this music stand one of the most innovative and effective stands for sheet music available. 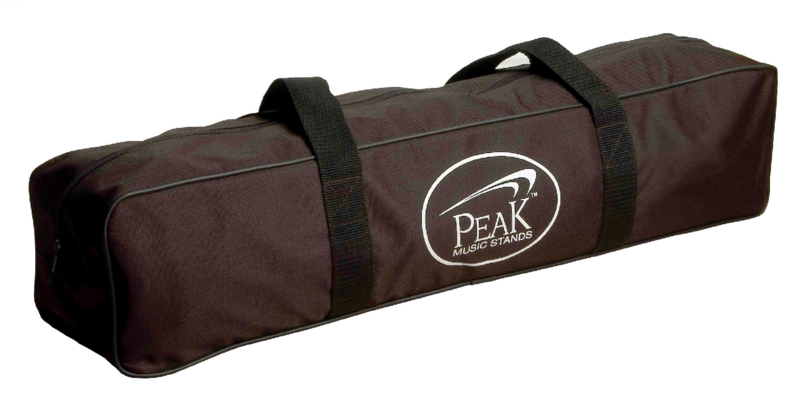 Peak's Quick Clamp Levers make collapsing and storing the stand into the included carrying bag simple and effortless. Available in two sizes and either tubular steel or lightweight aluminum.